On January 24th 2018, Agave Ponce LLC, Dover Kohl & Partners, the City of Coral Gables and the neighbors met at the Police station Meeting Room to go over the final Proposed Streetscape Improvements based on the previous sessions and meetings. Bellow is the Dover Kohl Presentation as presented, including small revisions/changes based on the final comments from various neighbors who attended the meeting. 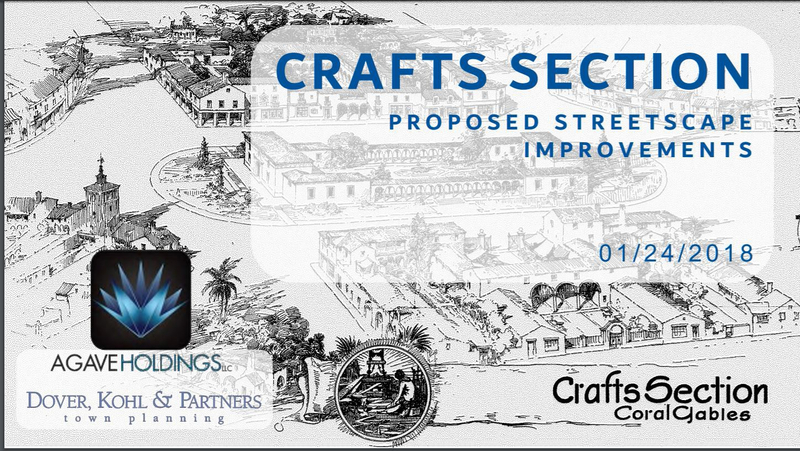 This presentation is now with the City Of Coral Gables for their final review and approval. As soon as this is approved by the City, Agave Ponce will start with the works which will begin with site surveying, civil and landscaping construction documents preparation and permitting both with the City and Miami-Dade County.